Yet it is hard not to feel sympathy for the net winners. 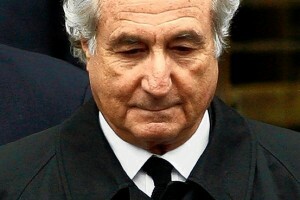 For many of them, their Madoff accounts represented their life savings. To discover that it was all an illusion was crushing. It seems doubly cruel that they should now have to give some of it back. They feel punished for someone else’s crime. Still, in all the fighting between net winners and net losers, what tends to get overlooked is that the big boys — the “deep pockets” who could actually afford to compensate the Madoff victims — are being allowed to walk away from the fraud. The Madoff scandal was paramount in providing the impetus to develop the need for the Veris Benchmarks™ value proposition. Had Veris Benchmarks™‘ products been available on the market, perhaps much of this disaster might have been avoided. Investors would have been provided a tool that they could have used to require Madoff to take PRIOR to putting their capital into his fund. Madoff’s Veris Trust Index™ Score might have been low enough to indicate potential problems ahead, as his score would have been compared to 812 white collar felons currently incarcerated for similar crimes.